We answer: What is PowerShell in Windows 10 and how to use it? Home » News » We answer: What is PowerShell in Windows 10 and how to use it? Command Prompt has been present on all all versions of Windows, and it’s without a doubt one of the most powerful tools on Windows 10. 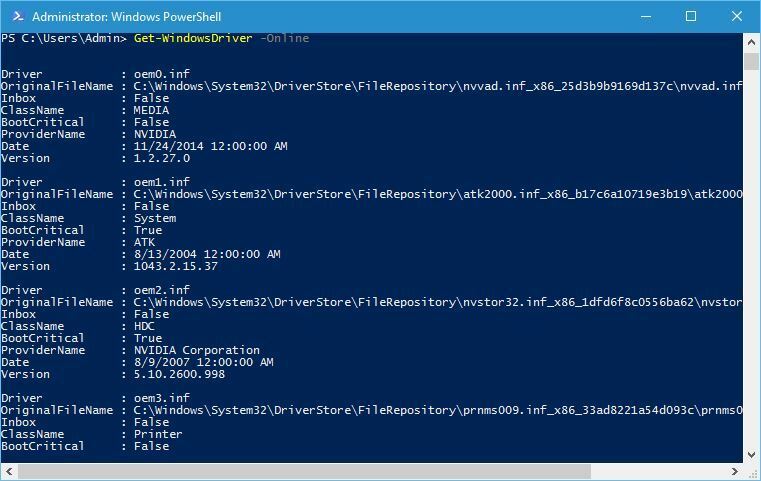 In addition to Command Prompt, there’s also PowerShell available, and today we are going to show you what is PowerShell and how can you use it. What is PowerShell and how to use it? PowerShell is a task automation and configuration management framework that comes in a form of a command line. PowerShell is based on .NET framework, and you can use it to perform all sorts of advanced tasks. 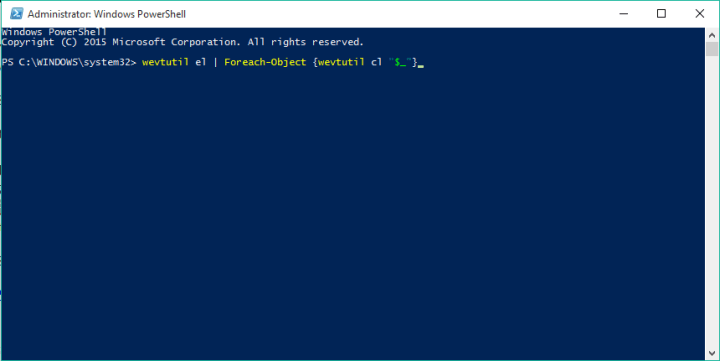 PowerShell is far superior to Command Prompt, and it might eventually replace Command Prompt, so let’s learn more about PowerShell. PowerShell was first introduced in 2003 as a project Monad, but the first official release came in 2006. Over the years, PowerShell was enhanced by new features such as the ability to execute commands remotely from a different machine or to schedule certain commands. These are some of the basic abilities that PowerShell possesses, and thanks to the great level of customization, PowerShell is a perfect tool for network administrators or any advanced Windows 10 user. PowerShell can be used for a wide range of operations, and most importantly, it supports all the standard Command Prompt commands. 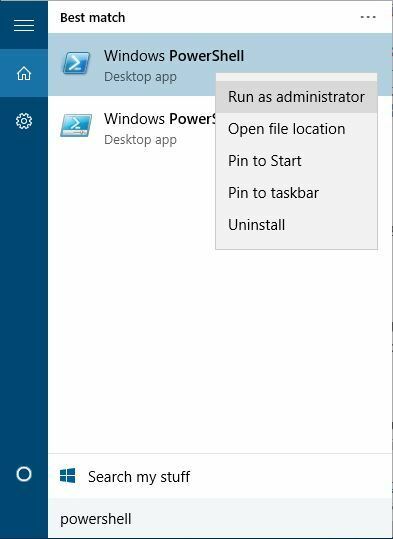 For example, you can terminate a certain process directly from PowerShell or you can set a certain task to run in background. 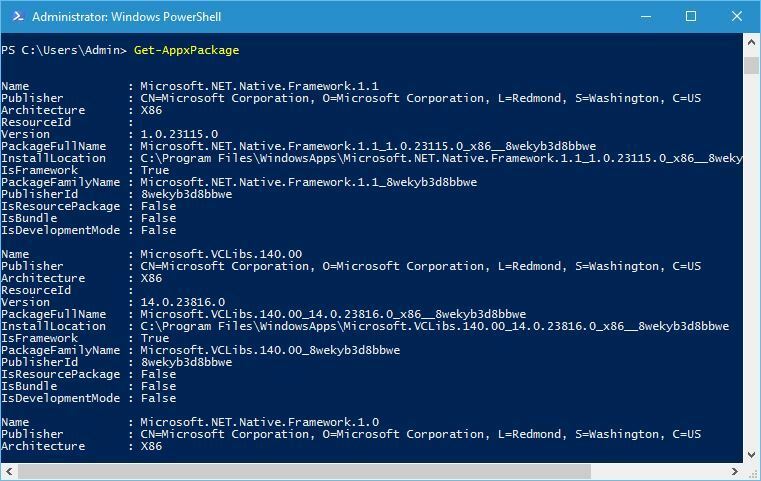 In addition, you can use PowerShell to uninstall and reinstall Windows 10 default apps, by using Get-AppxPackage and Remove-AppxPackage commands. As we previously mentioned, this is rather important tool for network administrators, and if you are a network administrator and you need to perform a single task on multiple PCs, you can set PowerShell script to do it for you. Since you can execute PowerShell scripts remotely, you won’t even have to leave your computer. PowerShell comes with a learning curve, and you’ll need to spend some time with it before you master it. Fortunately, in Windows 10 there’s PowerShell ISE that comes with graphical interface that makes the scripting process a lot simpler. We wrote briefly about PowerShell ISE in 7 best tabbed command line tools for Windows 10 article, so make sure you read it for more information. To access PowerShell on Windows 10, you just need to press Windows Key + S, enter PowerShell, and select it from the list of results. PowerShell is extremely powerful tool that can be used to remove Windows 10 core components, files and default applications. Since this command line tool offers so much power, it can also be rather dangerous if you’re not careful, so use this tool responsibly. Enter dir | Set-Clipboard to add it to clipboard. Enter Get-Clipboard -Format FileDropList and you will call and run dir command from your Clipboard. Optional: You can also use (Get-Clipboard -Format FileDropList).name command to output only folder names. These are some of the most basic functions PowerShell can do, and currently PowerShell supports more 1285 different commands meaning that you can create advanced automated scripts that you can run on your or any other remote computer. As you can see, PowerShell has unlimited potential, as long as you manage to master it. For an average everyday user PowerShell might seem intimidating with its interface and scripting language, but for network administrators and advanced users this tool is irreplaceable. Even though PowerShell might seem hard to learn, this tool has unlimited potential, and if you’re an advanced user, PowerShell might be the perfect tool for you.